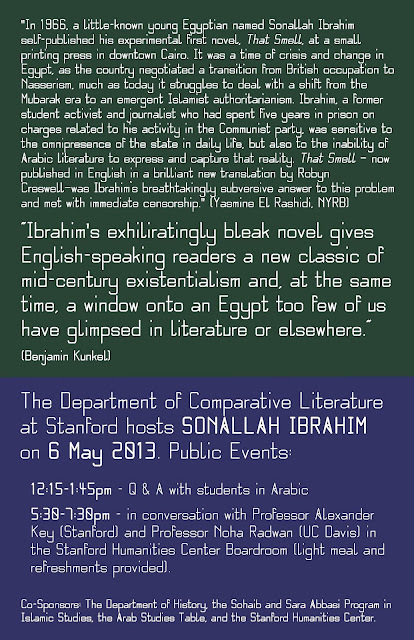 On Monday May 6, 2013, the Sohaib & Sara Abbasi Program in Islamic Studies, Department of Comparative Literature, Department of History, Graduate Student Council, Arab Studies Table, Stanford Language Center, and Stanford Humanities Center presented an Arabic Conversation Session with Sonallah Ibrahim. The session was conducted in Arabic and open only to Stanford Students. Later that day, Mr. Ibrahim also gave a public talk in conversation with Professor Alexander Key (Stanford University) and Prof. Noha Radwan from University of California, Davis)at the Stanford Humanities Center--an event that was open to the public ( more information) . 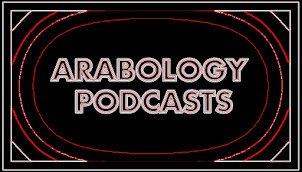 Sonallah Ibrahim is “one of Egypt's most formally interesting and politically uncompromising writers ” and an Arab intellectual who has lived in Egypt throughout the reality of the last several decades. His most recently translated book, That Smell , “was a breathtakingly subversive answer to the problem of the omnipresence of the state in daily life and the inability of Arabic literature to express and capture that reality. It met with immediate censorship” (Yasmine El Rashidi , NYRB). 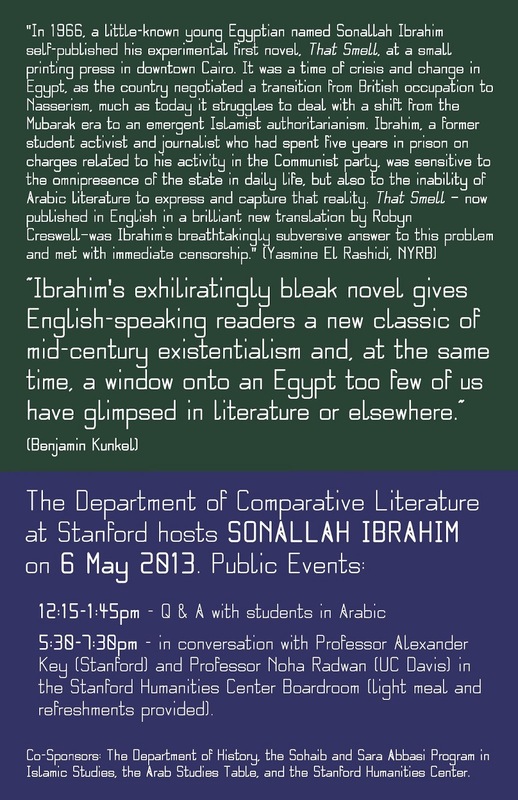 “Ibrahim’s exhiliratingly bleak novel gives English-speaking readers a new classic of mid-century existentialism and, at the same time, a window onto an Egypt too few of us have glimpsed in literature or elsewhere” (Benjamin Kunkel).